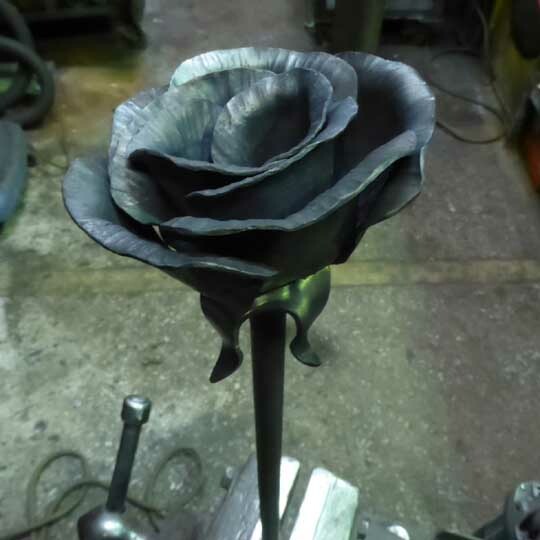 Well what else could a blacksmith make as a Valentine's Day present for his one true love and lifelong soul mate other than a rose! 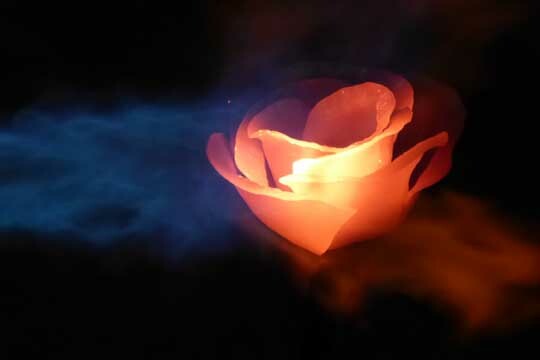 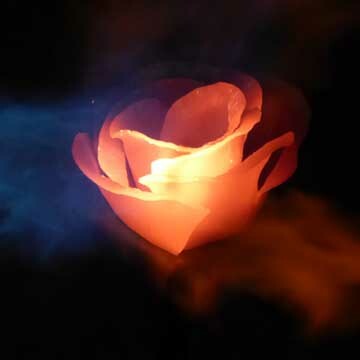 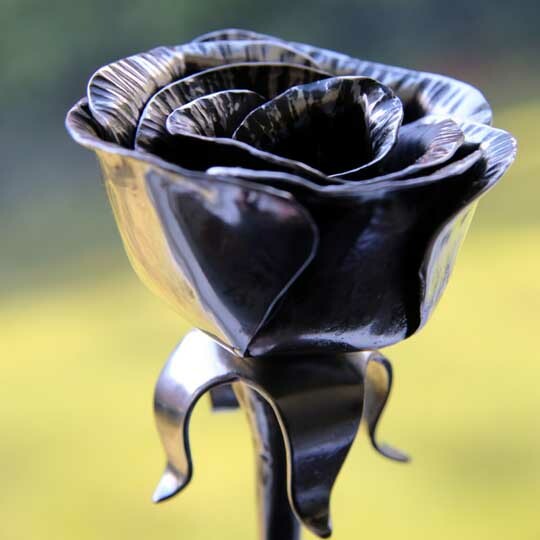 This stainless steel rose was made by heating and shaping it in the forge. 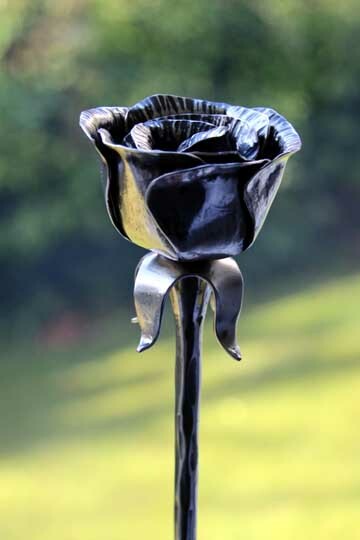 Its petals were then selectively buffed to give a highly polished finish with an underlying blackened texture. 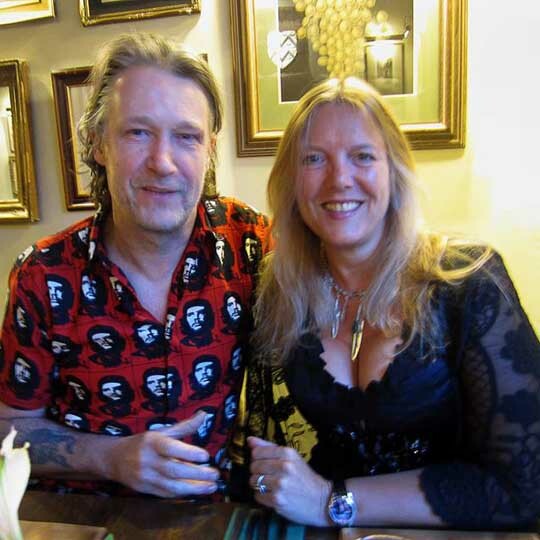 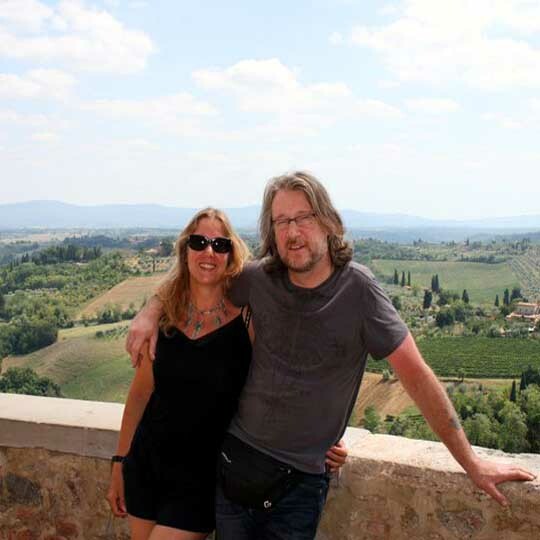 Happy Valentine's Day Cathy; My life is so much richer with you in it and I'll always love you.